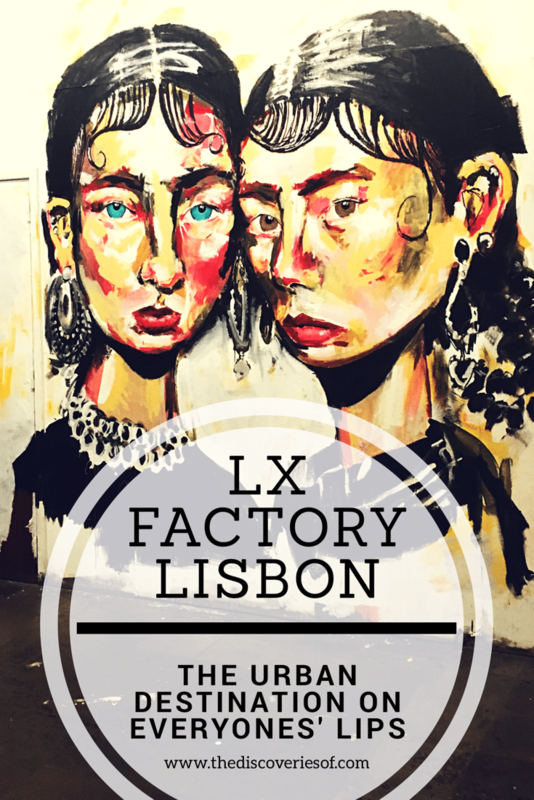 LX Factory Lisbon - Shops, Restaurants and Street Art – Discoveries Of. LX Factory, Lisbon is one of the city’s coolest spots. Filled with restaurants, bars, shops and some snap-worthy street art, it’s a real find in the otherwise quiet neighbourhood of Alcântara. LX Factory might win the prize for one of the coolest settings in Lisbon. Housed in an old manufacturing complex under the Ponte de 25 Abril Bridge, it’s the perfect example of urban regeneration done well. LX Factory treads that fine line between hipster and try-hard, regeneration and historical obliteration through an appealing mix of industrial buildings and cutting-edge design. Looking for more Lisbon and Portugal travel inspiration? Don’t miss these handy guides. 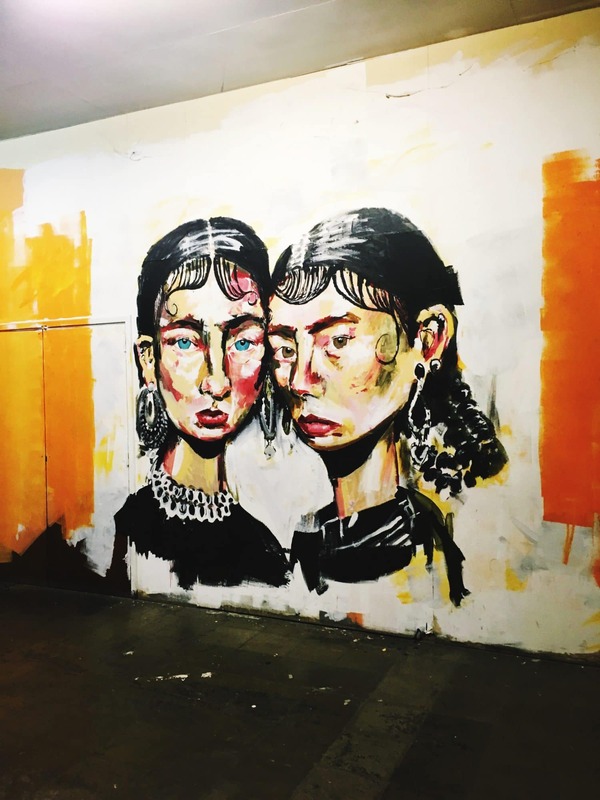 As some of you will know from my Instagram adventures and previous blogs, I’ve been hunting out Lisbon’s street art to the point where it has become a bit of an obsession. 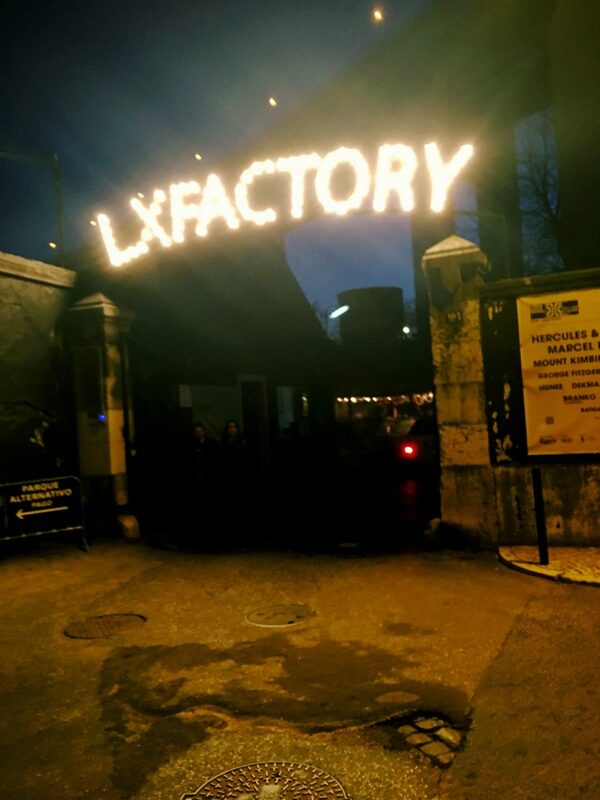 There was no way that I was going to miss LX Factory. LX Factory’s street art is well-known in the city. It’s one of the best collections of urban art in Lisbon. When I got there, however, I discovered a place that was so much more than just a street art hub. 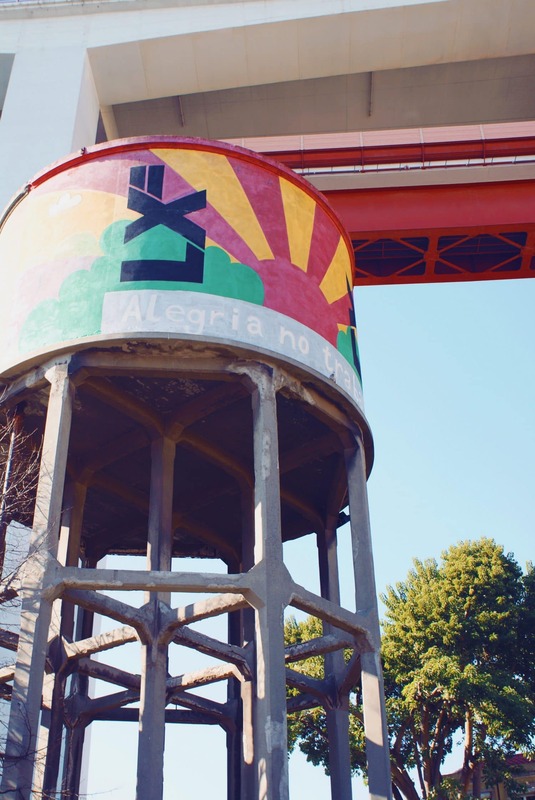 LX Factory is a hub of bold design and artwork, ingenuity and imagination. 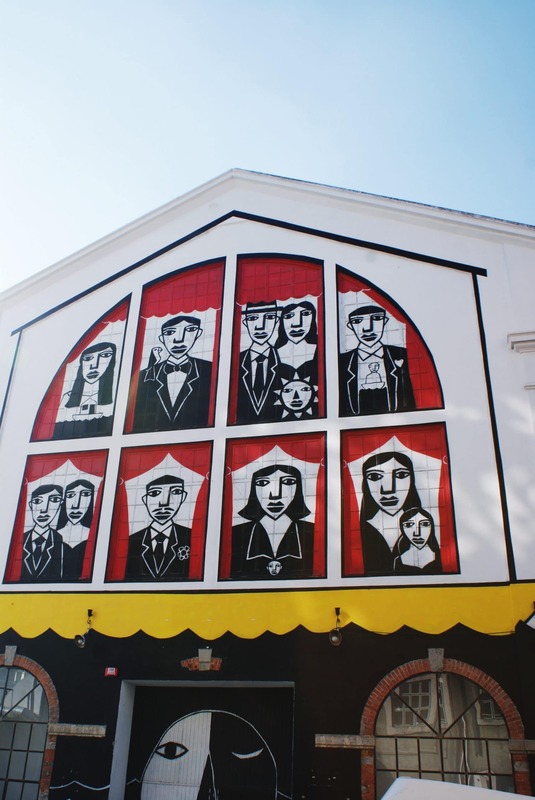 LX Factory’s history began in 1846, when one of Lisbon’s most important manufacturing companies, “Companhia de Fiação e Tecidos Lisbonense”, a threads and fabrics company, moved their Lisbon factory to Alcântara. Over time, the city’s industrial heyday passed and the factory was abandoned, falling into disrepair. Until 2008 that is, when some clever folk decided to rejuvenate the space and create LX Factory. Built on the bones of the old industrial site, LX Factory now boasts an eclectic range of shops, production studios, design firms, bars and restaurants. 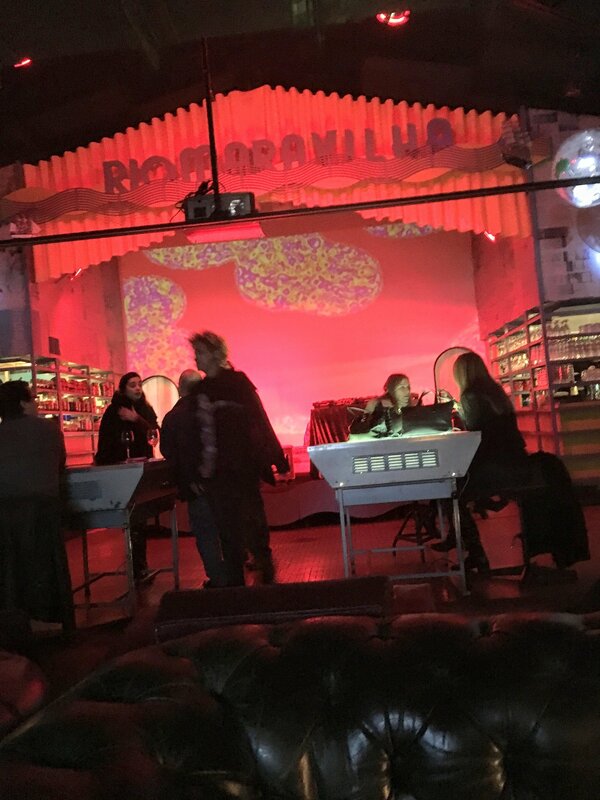 This buzzing hub of creativity also hosts music, fashion and art shows throughout the year and is one of the epicentres of Lisbon’s nightlife scene at the weekends. LX Factory’s restaurants are numerous and excellent quality. One of the first establishments to open in LX Factory, was Cantina, a popular restaurant converted from an old canteen. It still maintains its industrial feel, with repurposed manufacturing equipment used and displayed around the restaurant. Back in the day, the canteen served the factory’s employees. That heritage continues through Cantina’s production of traditional Portuguese cuisine, wood fired oven dishes and a truly delectable apple pie. 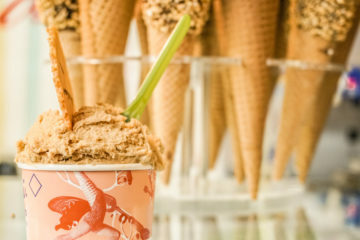 Dessert-lovers should make sure they head to LXeese Cake. The proprietor Madame Cheeselova (yes, really) serves up gargantuan slices of creamy, delicious cheesecakes with the perfect buttery biscuity bases in a range of moreish flavours. I think that Masterchef would approve. Sweet treats also abound at Landeau Chocolate, a place dedicated to showcasing what can be done with the humble cocoa bean. You really shouldn’t leave without a taste of their mouth-watering and taste bud-pleasing chocolate cake. Those looking for something a little more savoury would do well to pop in to Burger Factory. Many call their burgers the best in town. The only way that you’ll know the truth of that is if you try them yourself. Drinking-wise, you’ll be hard pushed to find a better spot than Rio Maravilha, where the views are fabulous and the cocktails supreme. Trundle up the stairs to the fourth floor (or trust in the old, creaky elevator) and you’ll be confronted with a fabulously OTT interior complete with a mirror ball and baroque furniture. The cocktails are pretty tasty too. I am fairly comfortable at holding my drink but their caipirinha was delicious but lethal – don’t say you weren’t warned. Shopping-wise, a trip to LX Factory is more a case of deciding what you don’t want rather than what you do. There are a large number of alternative stores and trendy retailers, all with their own quirky and individual style. Oenophiles (that’s a wine glugger/ lover to you or I) should make sure they visit More Than Wine. 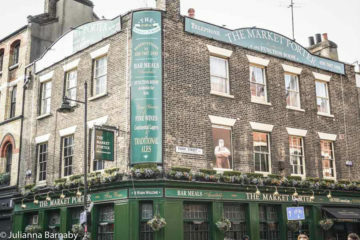 You could spend a whole afternoon or evening trying to find your favourite tipple from their range of fine wines. 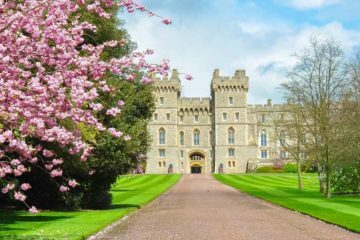 Additionally, their knowledgeable staff are always on hand to help with any questions or recommendations you might need. This particular bookstore is so awesome that it deserves a category all of its own. 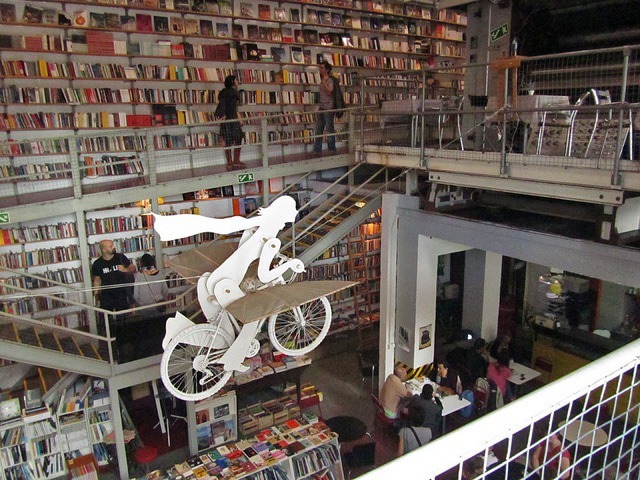 Ler Devagar is basically LX Lisbon’s equivalent of literary paradise. This huge emporium sells a wide range of Portuguese and English language books (plus other languages too). The books range from historical tomes and rare editions to the latest racy paperbacks. It’s a very cool space, and one that I wish I had taken a picture of myself (think I got really excited about the street art on this one and dropped the ball on some of the other pictures, lol). The weekly Sunday flea market makes for a nice browse and provides rich pickings if you’re looking for a gift or a reminder of your trip to Lisbon. 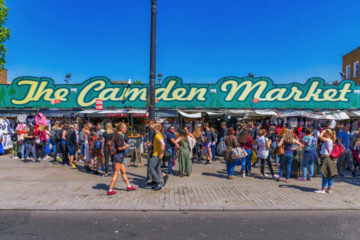 Peruse the market stalls, which cover pretty much everything from furniture to vintage clothes, jewellery and food, then pop into one of the many cafes for a leisurely coffee. Pretty much what Sundays were made for in my book. As I said earlier, the street art was actually the reason I went to LX Factory in the first place, so I couldn’t not give you guys a sneak preview. 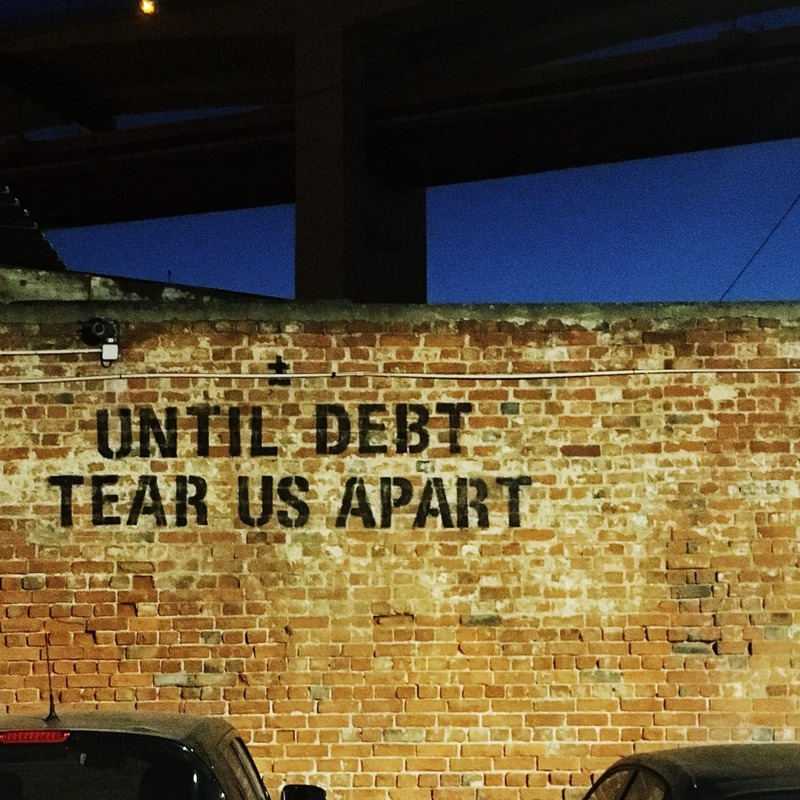 I’ll be writing a larger street art in Lisbon piece, in which LX Factory is going to make a starring appearance but for now, let me leave you with this. There was such a variety of work, by a number of international artists. Some of LX Factory’s graffiti is easy to find, but some of it is tucked away in places you really have to go looking for it. 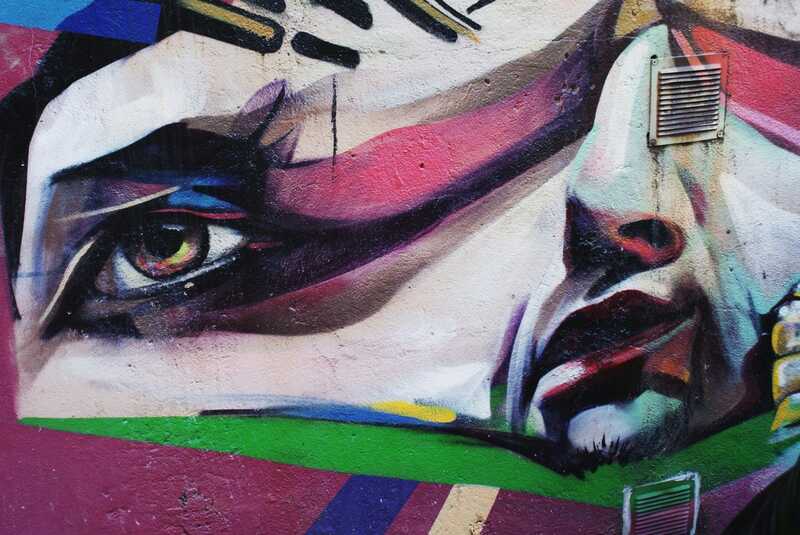 Lisbon has a thriving street art scene. The street art at LX Factory is of such a high quality that it’s easy to see why the city is establishing itself as such a street art hub. 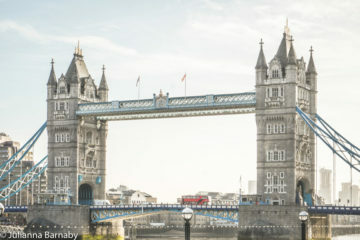 PS, if you’re really into street art, you should read my pieces on the coolest street art spots in Shoreditch and Camden in London. Or Lima, Peru. LX Factory is on tram route 15 and 15e from the centre of Lisbon. Calvario is the nearest tram stop. 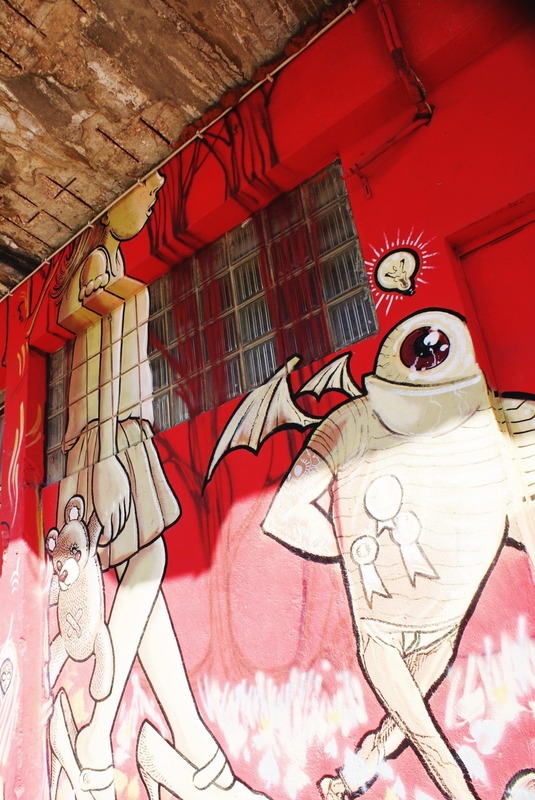 You can also walk to LX Factory from both the city centre and Belem – both walks take around half an hour. 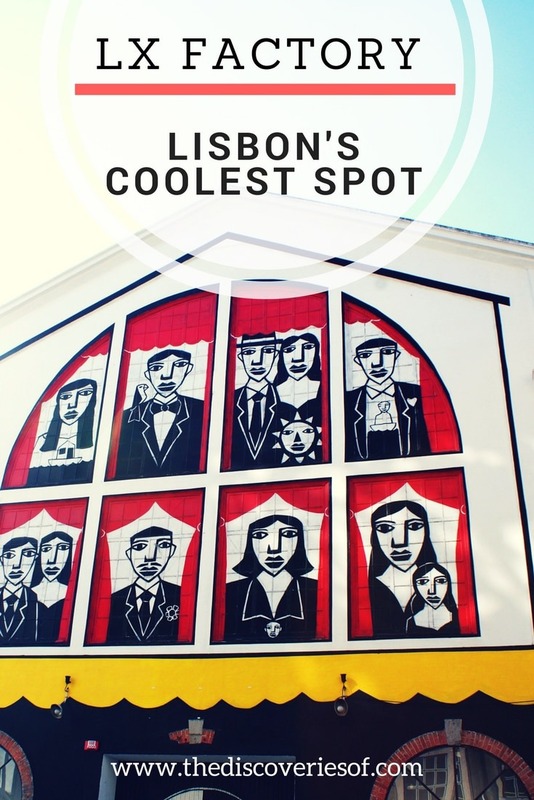 If you’ve enjoyed this piece, why not check out the other articles in my Lisbon Travel Guide? Or share it on Pinterest.